Come and play with a frolicsome family of unique Australian animals. Join in with the satisfying sounds and familiar expressions as a young family of animals zip, boing and bounce their way through the day. Hop up, wriggle over, wakey wakey, HUNGRY!Crunch crunch, gobble gobble, lick lick, MORE! BONG BONG, clang clang, ting ting, SHHH! Come on, slow coach, Zip! Zap! ZOOOM! With nine baby animals in the family, every minute of the day is wild romping fun! From waking in the morning, gobbling breakfast, drumming with spoons, zooming to the park, playing till it’s bathtime – Splish splash rub-a-dub Brush your…toothie-pegs! – life’s just one big game until bedtime. 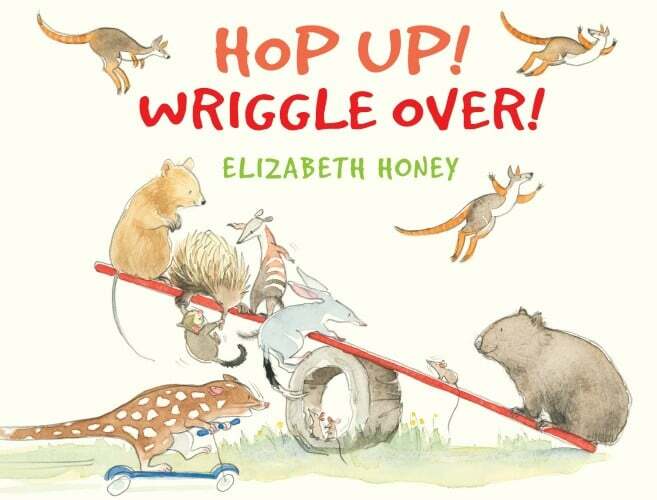 Elizabeth Honey is an award-winning author of poetry, picture books and novels. Her playful humour, originality and energy strike a chord with children everywhere. 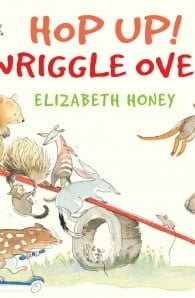 Elizabeth is also an artist and illustrates her own books. Her picture books include I'm Still Awake, Still!, Ten Blue Wrens and That's not a Daffodil! (Honour Book in the 2012 Children's Book Council of Australia awards). A musical theatre production of I'm Still Awake, Still!, inspired by the songs by Elizabeth Honey and Sue Johnson, toured the US and Australia in 2014. Elizabeth's books are published in many countries around the world.